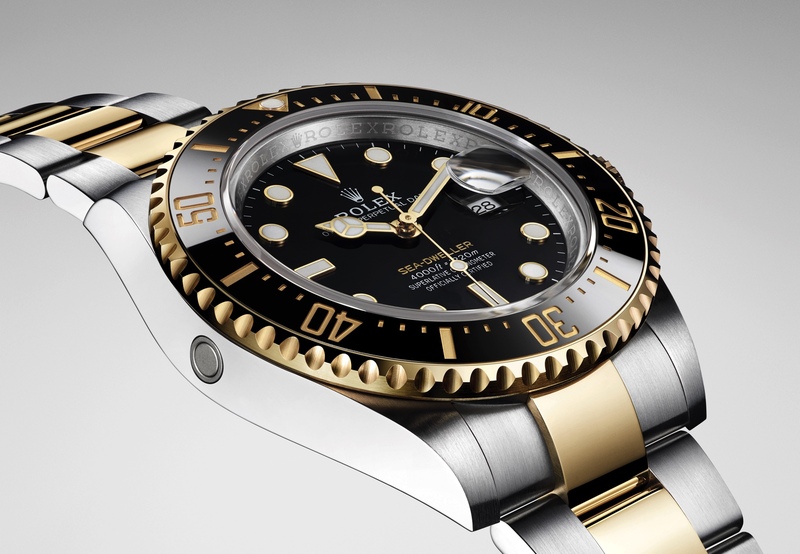 The Rolex Submariner Ref. 5508 is one of the most attractive and highly collectible Submariners. Its lack of crown guards and thin case distinguish it among Submariners. And although the Rolex (shown above) is unmistakably a James Bond Sub, it is not a typical 5508. A few minor variations differentiate this one from your average 5508. 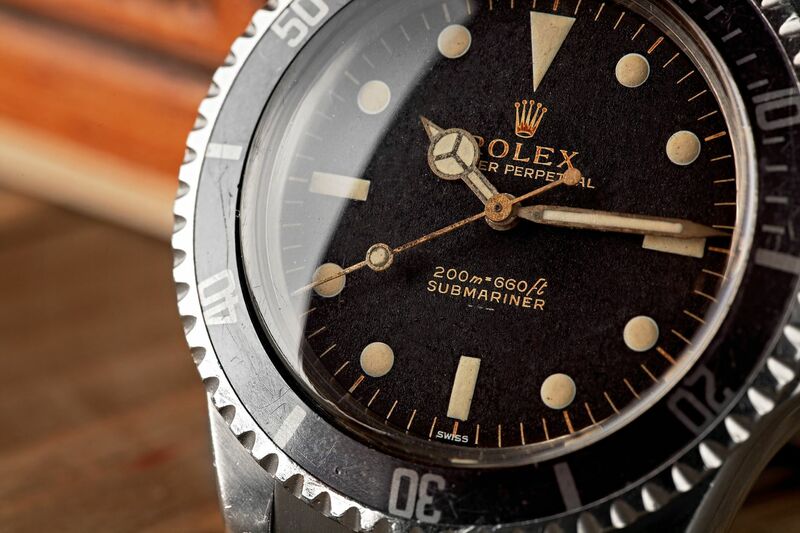 Rolex 5508 dials are typically printed with the “100m = 330 ft” depth marking in silver and the “Submariner” marking in gold. This particular example has both the depth and Submariner markings in silver, hence the name “Gilt Ghost Dial,” aka double silver gilt dial. Also, at 6 o’clock, instead of standard luminous hour marker, this one has an exclamation point. An auction house or Rolex expert can give you a good ballpark of what to pay for one of these, good luck trying to find a “James Bond Ref. 5508 Gilt Ghost Dial Exclamation Point Submariner” though. Previous articleA. Lange & SöhneDo you know where the original inspiration for the A. Lange & Söhne oversized date display came from?